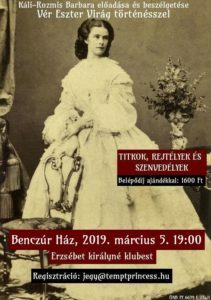 Kezdőlap » Empress Elisabeth – Sisi » Interesting Things about Elisabeth and Franz Joseph » SISSI OR SISI OR LISI? SISSI OR SISI OR LISI? Írta: Káli-Rozmis Barbara 2016. 11. 20. The title of this heading (subdivision) is “Empress Elisabeth – Sisi”. However, it is important to note that Elisabeth was not especially fond of this nickname and liked to use it only in her family. A question can emerge: Why is this title then? For a long time, I did not like to call the Empress "Sisi". Why shall we use a nickname which was not loved by her? The reason is simple: Her name tends to be spelt by many fans like this: Sissi or Sissy, however, the correct spelling is Sisi - with this title, I would like to express that this website is not about the “Sissy or Sissi image” that is generally known. Although I do love Ernst Marischka’s trilogy, and some articles include information and photos of its scenes, the subdivision does not present the protagonist of the beautiful Romy Schneider's - trilogy but it makes an attempt to show the really interesting and complex personality of the Empress. I am often asked: “Is not her nickname spelt “Sissi”? Everywhere it can be seen like this." Brigitte Hamann (who passed away on 4 October 2016) “was the first to obtain permission to examine and study thoroughly Elisabeth’s literary and heritage in Berlin, Switzerland”. 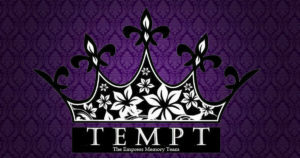 (Index of her book “The Reluctant Empress”) She frequently name the Empress “Sisi”. She was the one who studied countless letters and pages of diaries. She also quotes several sentences of them, many of which include the nickname, “Sisi”. The painting of Gyula Benczúr “Queen Elisabeth (1899)” (above) was made after Sisi’s death. (It is now owned by the Hungarian National Museum) This is one of the most authentic paintings ever made of the Queen according to her contemporaries. You might have realised that below, the original image is on the opposite side. With this “interpretation” I would like to illustrate that the Queen's another, less well-known personality is also an aim to be revealed. Another evidence... I have just been sent this German article, in which one can read about a silver metal gift box given to Elisabeth by King Ludwig. One can see that "Sisi" is engraved into it: Tabakdose belegt Schreibweise "Sisi"